Lots of different characters and newly created designs, full rights, regularly updated. 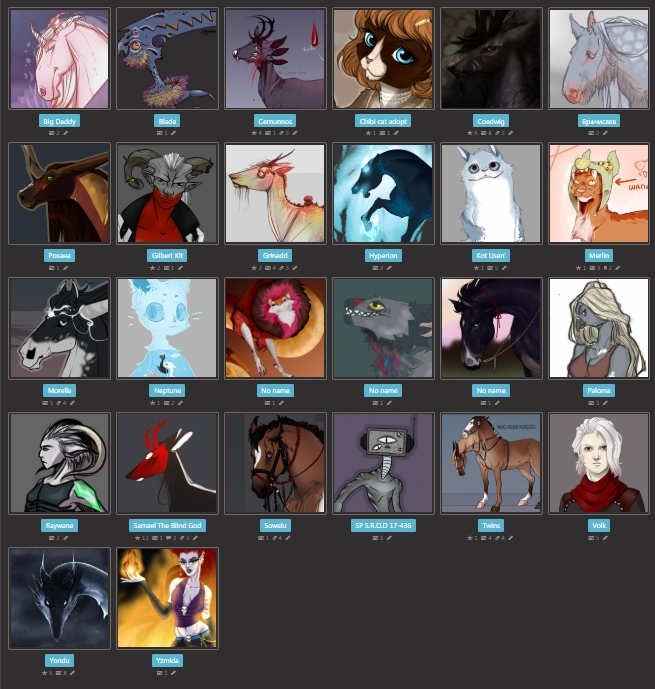 Human and humanoid, male and female, anthro, feral, closed species, unique OOAK adopts, canine, feline, equine, cervidae. Offer your price in USD. Trades also accepted! I accept: PayPal, Qiwi, Yandex.Money, WebMoney, а для русских можно ещё переводом на карту Сбербанка или Тинькова. Hello How much would you want for Raywane? Jules About $10 or an art (but this depends on style). Mr-BigDaddy: I'd like to buy him then, please :). Paypal please. Oh gosh those designs have some great art, I just enjoyed looking through and admiring it all! Sorry, but no one caught my eye. Yet I'm willing to sell him for 5 USD. Realitea it depends) PM me with art examples and what char you are interested in.